Questions about the cause of the dangerous fire in California have remained unanswered, while the increase in number of the fires and casualties are beyond human imagination. People have heard about tornadoes and hurricanes and the death from their onslaughts, and number of deaths from worrisome domestic fires, people are still unable to come to term with the wildfire in California and the number of casualties. Americans are familiar with incidences of domestic fire, the fight by fire-fighters to curtail it, save lives and losing their own lives. The ability of the wildfire in California to quickly spread and the danger the raging and maddening fire poses to human lives and properties, is attested by the number of deaths and missing people from the latest inferno. 75 deaths and people close to a thousand are still reported missing. Survivors have spoken about their efforts to re-cope material loss, but it is total or complete silence for those who have been silenced forever, their relatives struggling to pick up the pieces. For many survivors, seeing the spaces formerly occupied by their homes now vacant, and do not know where to begin to take steps to evaluate their losses, explains the negative impact of dangerous fire on human lives. The ABC News reported that more than 80 people have died in California due to wildfire, tens of thousand of homes lost and the entire amount budget for an entire calendar year gone. Napa Valley Register attempted to situate and locate the number of fires that are burning in California - meaning that there are many fires burning in California and the locations are more than one. KVOA Tucson reported that the camp fire is not done yet and will not be done until November 30. The current 86 death is reportedly from a camp fire. How did it start or what may have triggered the fire is unknown. Like other fires before it, it has consumed residents and fire fighters' lives, properties and money. The number of the dead goes up on daily basis. President Donald Trump visited California during the week, signalling federal efforts toward curtailing the dangerous fire in California with more money to pour in. 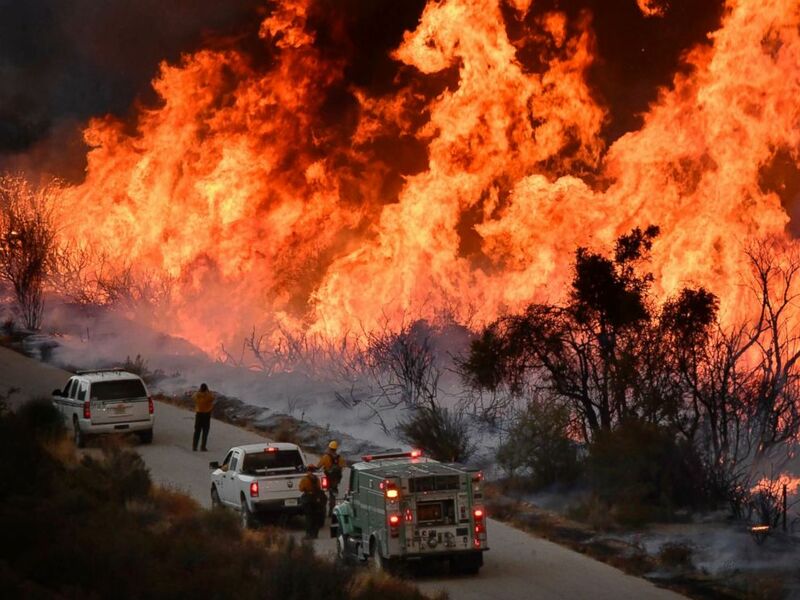 The fires in California not only task fire fighters beyond their capabilities, they are placed in a state of confusion about which of the fires to give their attention. The fact is that dangerous fire such as had been witnessed in California can never have a positive impact. It is a reminder that the usefulness of fire in human society is for it to remain at the level of its usefulness without its danger allowed a place. It is the reason fire ordinances are part of human lives everywhere, with fire stations playing very important role to protect lives from the possibility of mishandling useful fire and not allow it turn into bad fire to consume us. It is why when you park your car on the street in civilized in countries, you don't block the fire hydrant - the source of water - for fighters as fire may occur anywhere without warning. Yes, we cannot do without useful fire in our homes and workplaces. There can be no industry without useful fire. Domestic and industrial existence are incomplete without useful fire. That is saying little and useful fire is manageable and that big and wildfire are dangerous to our lives.